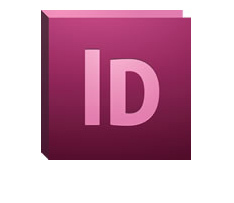 InDesign is a legendary print creation software and is most used for brochures, catalogs, and other complex print layouts. However, Adobe InDesign Templates from Inkd are a perfect way to creat your new business card, postcard, flyer, or just about any other piece of marketing collateral! Design professional layouts for print and digital publishing with this legendary software application from Adobe. You’ll find hundeds of profesional graphic design templates on Inkd in the Adobe InDesign format. InDesign provides a versatile foundation for dynamic publishing workflows, both now and in the future, which is why leading graphics designers use it to make memorable brochures, flyers and other marketing materials. If you’re interested in graphics design, you’re bound to use InDesign. Adobe software is the principal technology for complex print layouts such as books, magazines, brochures and other documents intended to be sent to a commercial printer. Get sophisticated control over font styles, flowing text and multi-page master pages. You can design business cards or letterhead in other applications but you’ll see many Adobe Indesign templates available on Inkd because it is the preferred application for the most advanced print design.